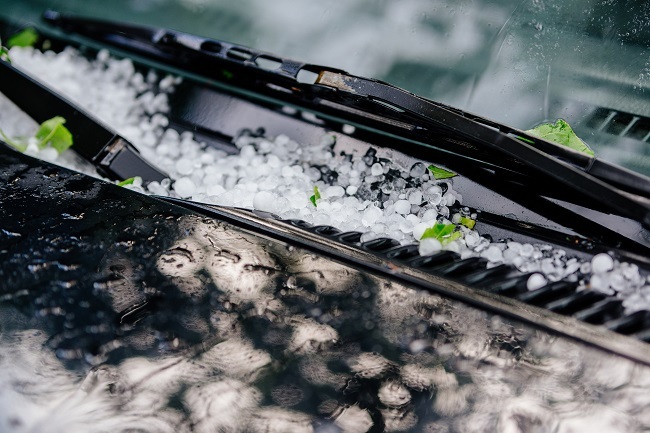 If your vehicle has some damage, usually due to hail damage, you may not want to do repairs due to the cost. Even with other types of damages, paintless dent repair may be an option. Here are some benefits of paintless dent repair. It takes less time. While regular cosmetic work on a vehicle could take a few days or even weeks, your vehicle could be repaired in a matter of hours using paintless dent repair. This leads to less cost. Because you are looking at less time, you will have less money wrapped up in labor costs. Then, if you factor in the filler, primer, and paint, you are looking at a much cheaper alternative to bodywork. Many insurance companies will pay for paintless dent repair. Since the costs are cheaper than other repairs, many insurance companies will pay for this procedure. They may bulk at repainting your vehicle after replacing parts but might not bat an eye at an estimate for paintless dent repair. Since your vehicle is not undergoing traditional bodywork, it will be able to retain its value afterward. Vehicles that are repaired can lose value. However, with paintless dent repair, the factory finish isn’t’ changed so it can still be considered original. It is also environmentally friendly. Bondo, solvents, and paint can be quite toxic. All of those harmful fumes are released into the air. If you aren’t repairing and painting your vehicle, you could be saving the environment a little bit. Most people cringe when they think about bodywork. Not only does it take a lot of time, it can also take a lot of money. Now, there is another option. Paintless dent repair can fix many dents in hours instead of days. This leads to much cheaper bills that even the insurance company should cover. Plus, it is more environmentally friendly, which is a big benefit for many. Contact us for all of your automobile needs.